Meet and learn more about burrowing owls at Cabela’s Regina at 2 pm, Feb. 9. 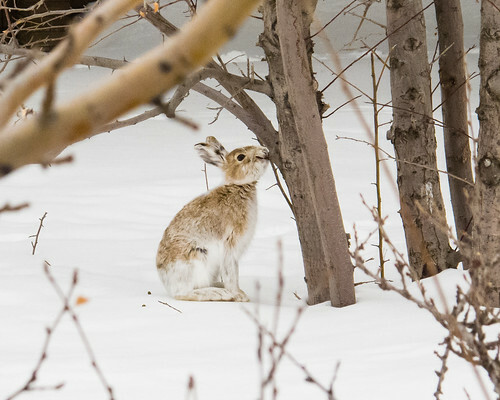 Nature Regina members will look for winter birds and wildlife in Wascana Park from 9 am to noon, Feb. 9. Lee Dorey’s exhibit reminds us of the mystery and magic of trees and is on display at the Frances Morrison Library Gallery from Feb. 13-Mar. 14. Under 30? Apply by Feb 15 to Nature Canada for a young nature leader grant of $1000 for project implementation. Everyone of all ages and degree of expertise is invited to take 15 minutes from Feb. 15-18 to record the birds they see on the Great Backyard Bird Count website. SaskOutdoors is hosting a Project Wet workshop for K-12 teachers in Regina from 9:30 am-3:30 pm, Mar. 16. Indigenous employees, students, and businesses along with renewable energy employers and industry are invited to make connections and build relationships at the Workforce Connex event at the U of S, Mar. 20 from 8:30 am-4:30 pm. Living Sky Wildlife Rehabilitation is hosting a two-day introduction to wildlife rehabilitation on Apr. 6 & 7 in Saskatoon. The Supreme Court ruling isn’t enough. Regulations are needed to address the problem of inactive or orphan oil and gas wells. Wildlife-friendly road infrastructure can dramatically reduce collisions - and save people money. Modernizing urban freight deliveries - micro hubs and cargo cycles. Central Alberta citizens have banded together to fight a huge new water licence for fracking on their local river, a tributary to the North Saskatchewan River, the source of Edmonton's water. We need to make sure we source green tech minerals in a socially and environmentally responsible manner.